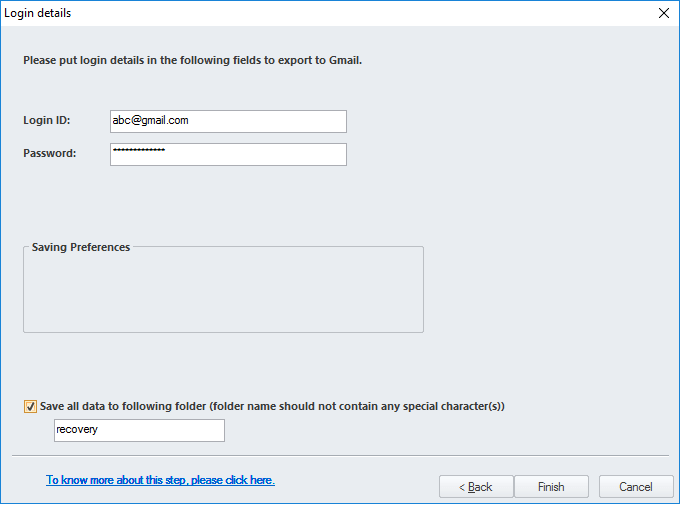 How to access your Outlook for Mac emails in Gmail? Web based email clients like Gmail are popular as users can access their emails from anywhere through internet. So many desktop email client users keep a copy of their emails in web mails. Here, we will discuss how Outlook for Mac users can export their emails to Gmail, a very popular web based email application. 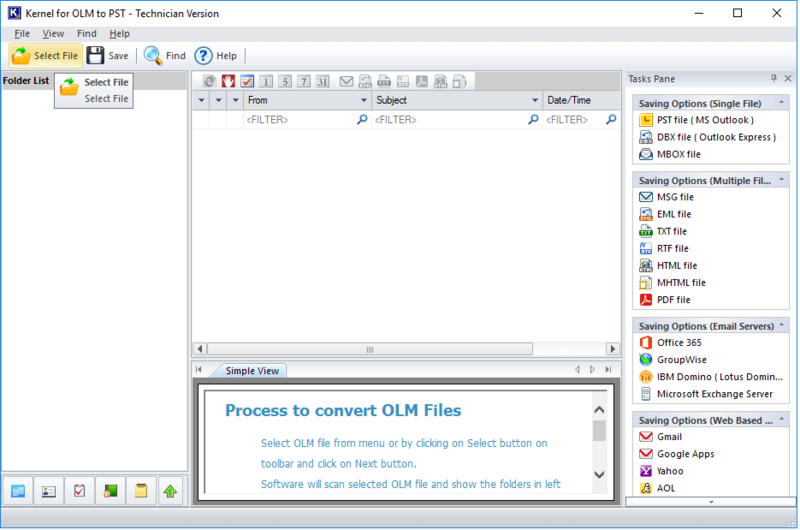 Why you need to do OLM to Gmail migration? If you want to access your Outlook for Mac emails in Gmail, then you need to move them to Gmail from OLM files. 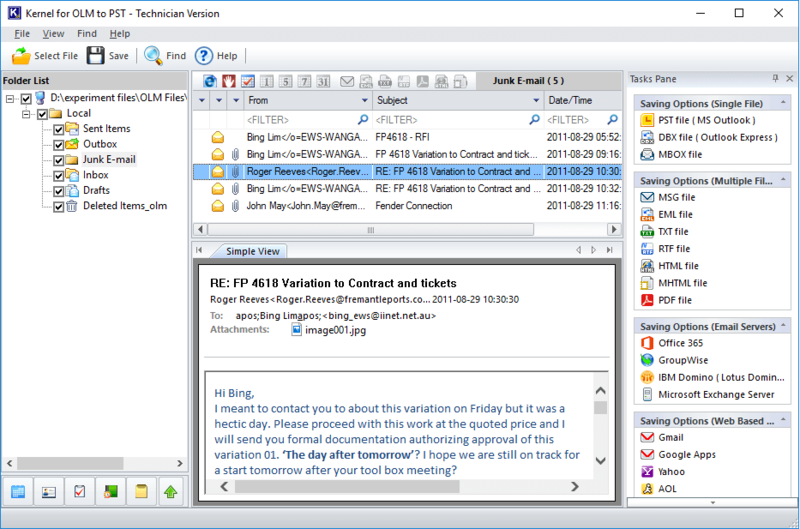 So, export all your emails to Gmail, manually or using professional tools. Time consuming: The manual method consists of four major steps, and each step has multiple sub steps. Hence, this process is lengthy and time consuming. You need to be a technocrat: Manual migration of your OLM emails into Gmail account is very complex and you need to have good knowledge about what are you trying to do. No guarantee of data integrity: While migrating your Mac emails into Gmail account, the manual process does assure data integrity. 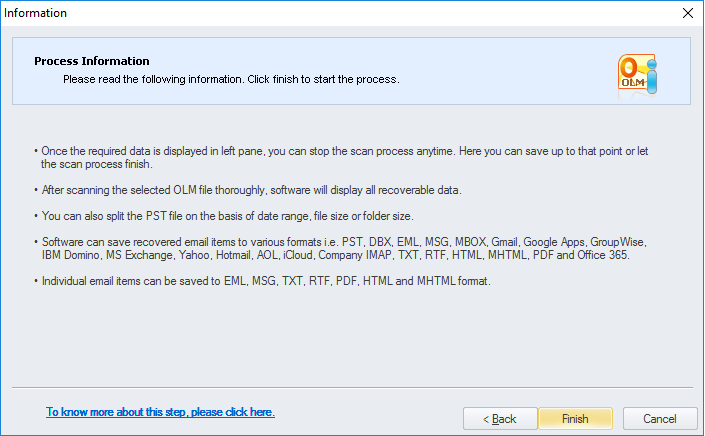 Kernel for OLM to PST tool is widely used export OLM emails into Gmail. 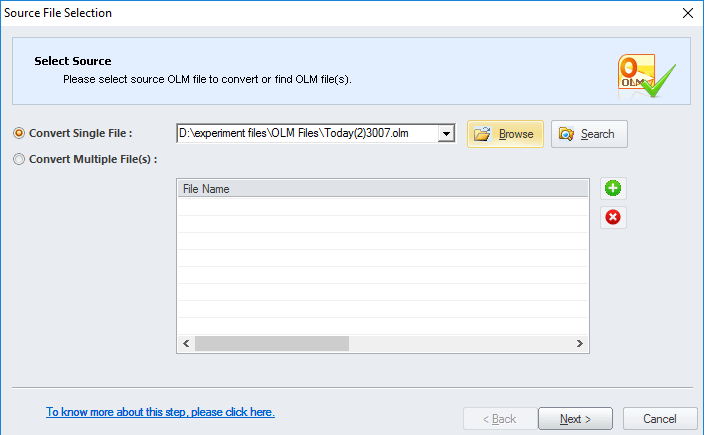 This tool saves all the items of the OLM file into Gmail Account, like contacts, appointments, events, email data etc. It also repairs the damaged or corrupted OLM emails and saves them into Gmail. This tool gives you the 100% guarantee of data integrity during the migration process. Launch Kernel for OLM to PST and click Select File on the menu bar. 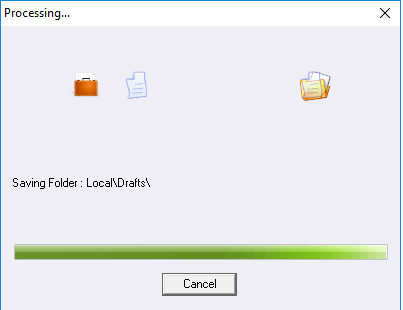 Click the Browse button to choose the file location of OLM files. Click Next. 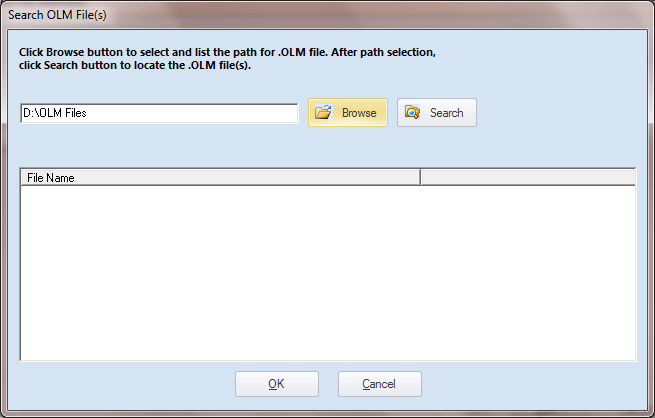 Note: If you do not know the location of the OLM files then you can click on Search to find the OLM files from your system. Now you can preview all the emails of the OLM file. Choose the format of file in which you want to save (here, Gmail) and click Next. 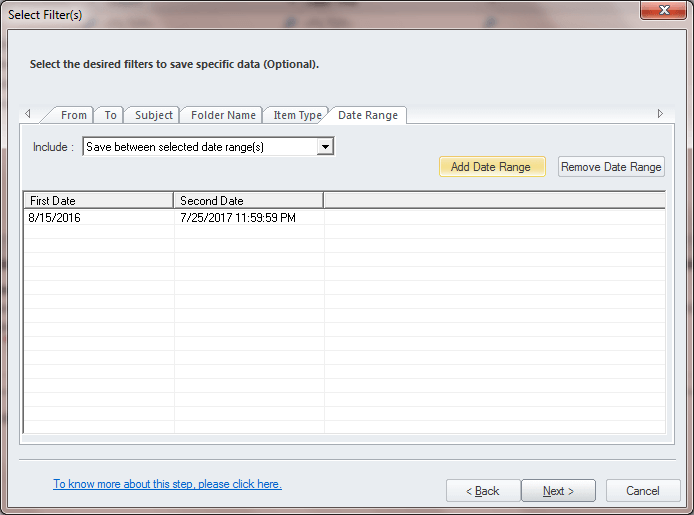 Provide the filtering criteria and click Next. Now provide your Gmail credentials and click Finish. Wait till the software saves OLM emails in Gmail. After the process, all your OLM emails will be saved in your Gmail account and you can access them using your Gmail account. 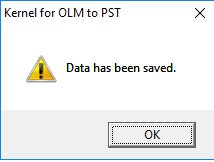 Also, Kernel for OLM to PST allows the user to save the recovered/repaired mails in multiple file saving formats for example, PST, DBX, EML, MBOX, etc. This software gives you the most accurate results and maintains the data integrity of all OLM files. 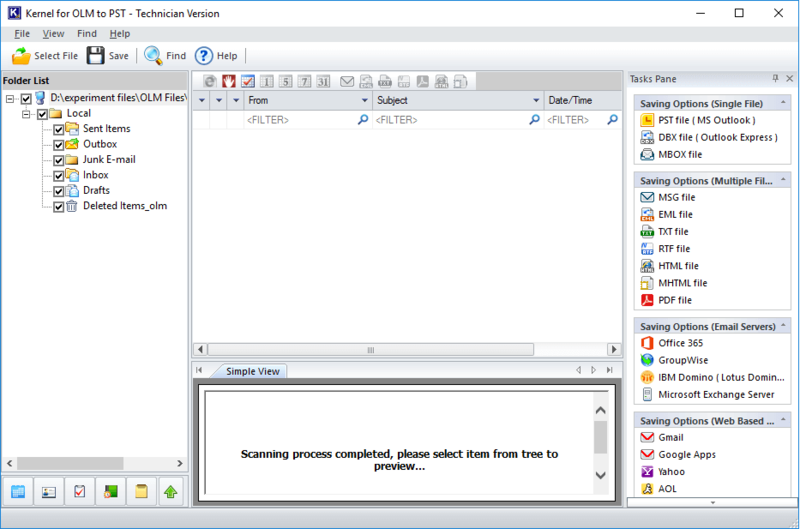 Outlook for Mac – How to import PST files and export to PST files? 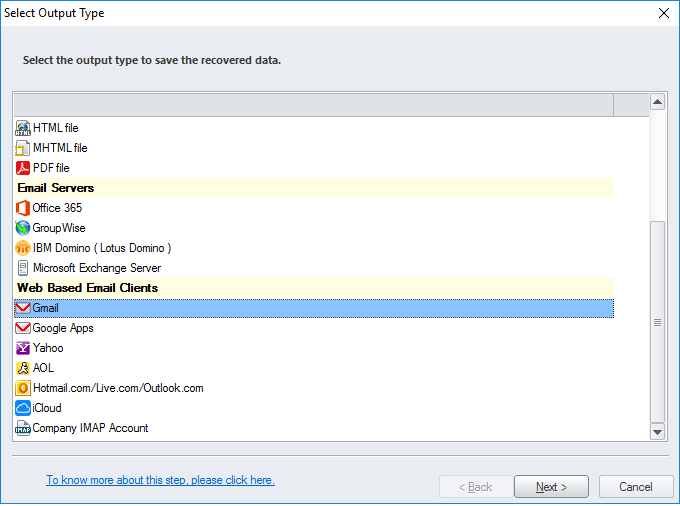 What Outlook for Mac Users can do when their Exchange mailbox is full?